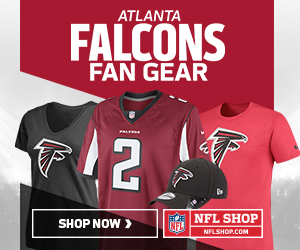 What’s happening, Atlanta Falcons faithful! Mike and Cory are here, and there’s no need to fear, we’ve got your Falcons 2017 roster talk at the ready! This entry was posted in Atlanta Falcons, Falcons, Final Roster, NFC, NFC South, NFL, NFL Preseason, Podcast, Preseason, Rise Up and tagged Atlanta Falcons, Atlanta Falcons podcast, Atlanta podcast, Ben Garland, Blidi Wreh-Wilson, Chris Odom, Cory Woodroof, Falcons, Falcons final roster, Falcons podcast, Falcons podcasts, Falcons Roster Poké-rap, Jacksonville Jaguars, Jermaine Grace, Julio Jones, Matt Ryan, Michael Aprile, podcast, right guard, Wes Schweitzer on September 1, 2017 by Michael. This entry was posted in Atlanta Falcons, Falcons, Final Roster, NFC, NFC South, NFL Preseason, Preseason, Rise Up and tagged Atlanta Falcons, Cory Woodroof, Devonta Freeman, Falcons, Falcons roster, Julio Jones, Matt Ryan, Rise Up, Rise Up Reader, roster on August 28, 2017 by corywoodroof47.